On this nation’s Independence Day, we should remember the “shot heard ’round the world”. It is quite possible that there would be no United States of America (in the form we now know it), but for the courage of a small band of ordinary citizens, armed with hunting rifles. The militias of Concord and Lexington, Massachusetts were the first colonists to provide organized, armed opposition to British rule in the Americas. It is their fighting spirit that we celebrate today. Having learned about arms stockpiled in Concord, on April 19, 1775, British General Gage ordered an estimated 700-800 regulars to march to Concord to seize arms, gunpowder, and cannons. (Gage also wanted to arrest John Hancock and Sam Adams, reported to be in Lexington.) Learning of the planned British action, Paul Revere rode to Lexington to alert the militia. Hancock and Adams went into hiding and the Lexington militia (120 or so men) formed up under Captain John Parker. When the British reached Lexington, they arrayed in battle formation on the Lexington Green. Parker told his men: “Stand your ground! Don’t fire unless fired upon! But if they want to have a war, let it begin here!” The British then advanced. A shot was heard, and the British regulars charged and attacked Parker’s force. When the smoke had cleared, the British suffered only one man wounded. However, eight Minutemen died, including Captain Parker’s cousin, Jonus, killed by bayonet. The British then continued to the Concord arsenal. After securing the roads leading into Concord, the British troops proceeded to destroy powder and weapons. In the process the Concord courthouse was accidentally set on fire. The Minutemen, formed up on the hills outside Concord, saw smoke and thought the British were burning the town. The Concord Minutemen then attacked the British at Concord’s North Bridge. By most reports the Militia fire was much more accurate than the British volleys. Two Redcoat officers were killed, along with many enlisted men. Surprised by this, the British broke ranks and retreated. The Minutemen chased after them and captured the North Bridge. The British then abandoned Concord and marched back to Boston. The Minutemen hounded the Redcoats in retreat, peppering the Brits with sniper fire all the way back into Boston. John Parker lead his Lexington Militia in one ambush of the retreating British, known as “Parker’s Revenge”. Concord/Lexington Battle Map. As early as 1645 in the Massachusetts Bay Colony, some men were selected from the general ranks of town-based “training bands” for rapid deployment. Men so selected were designated as Minutemen. The Minutemen were often 25 years old or younger, and they were chosen for their enthusiasm, political reliability, and strength. They were the first armed militia to arrive or await a battle. Officers, as in the rest of the militia, were elected by popular vote. Share the post "On July 4th, Remember the Minutemen"
Ammunition that heats up well beyond its normal operating can display over-pressure signs. This is true even of powders that are marketed as being temperature “insensitive”. We strongly recommend that ammo be kept under 90° F, and cooler is better–if you can keep things in the 60-80° range, you’ll find your velocities will stay more consistent with nearly all powder choice. We’ve found a versatile, inexpensive new product that helps keep your ammo cool in hot summer conditions. Kryo-Paks are only about 1/4″ thick and come in pleated grids you can cut to fit your ammo box. We keep one in the bottom of a MTM-100 ammo holder and one on the underside of the box-lid. 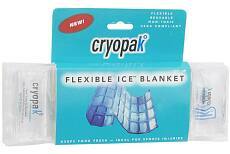 The 8″x8″ CryoPak “Ice Blanket” costs less than $2 at outlet stores like K-Mart and Walmart. Just keep these in the freezer until needed, then put a layer in the base of your ammo box. It’s also not a bad idea to keep your spare ammo in an insulated cooler, out of the sun. Share the post "Use Quilted Cryo-Paks in Ammo Boxes"